On January 5, 1949, President Harry Truman used his State of the Union address to recommend measures including national health insurance, raising the minimum wage, strengthening the position of organized labor, and guarantying the civil rights of all Americans. Referencing the popular "New Deal" programs of his predecessor, Franklin Delano Roosevelt, Truman styled his reform package the "Fair Deal." A few months earlier the president's career seemed over. Political pundits of the time agreed that Truman needed a miracle to win his 1948 bid for reelection against the popular Republican governor from New York, Thomas E. Dewey. Adding to the incumbent's troubles, a revived Progressive Party attempted to attract left-leaning Democrats, while segregationist "Dixiecrats" broke with the Democrats to run South Carolina Governor Strom Thurmond for president. 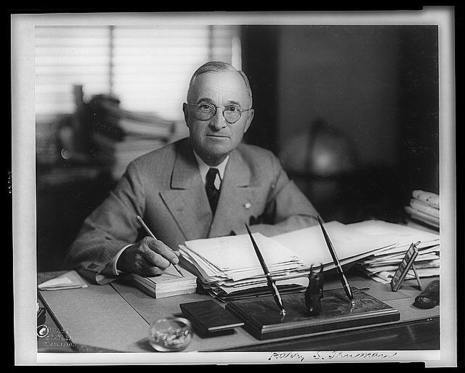 Responding to the competition, Truman embarked on a campaign tour by train, delivering “whistle-stop” speeches to thousands of voters in small communities throughout the United States. This tactic proved effective, and President Truman was reelected by a slim margin. Still, the Chicago Daily Tribune was so confident of the president's defeat it went to press with the November 3, 1948 headline "DEWEY DEFEATS TRUMAN." 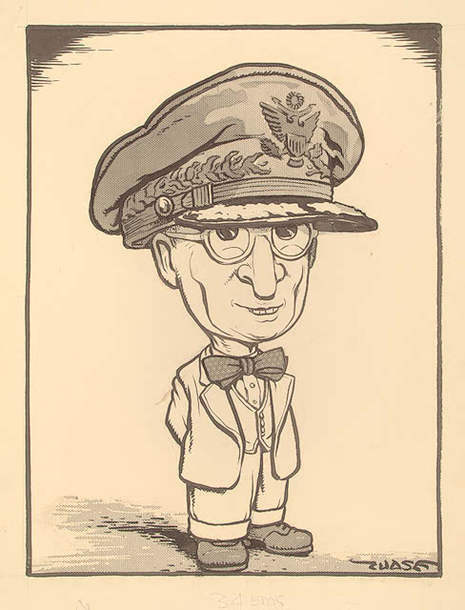 During World War I Truman served as an artillery officer, making him the only president to have seen combat in World War I (his successor Eisenhower spent the war training tank crews in Pennsylvania). After the war he became part of the political machine of Tom Pendergast and was elected a county commissioner in Missouri and eventually a United States senator. After he gained national prominence as head of the wartime Truman Committee, Truman replaced vice president Henry A. Wallace as Roosevelt's running mate in 1944.